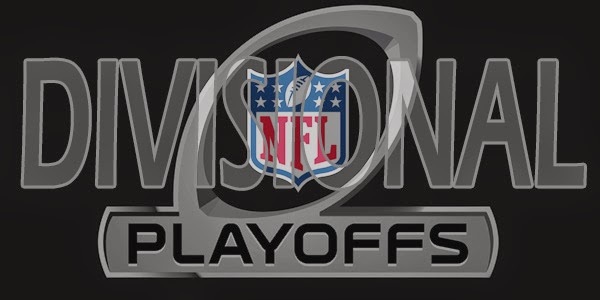 We skipped the Wildcard round for NFL bets but we are back with NFL Divisional Playoff picks this weekend! I'm really excited for this weekends action and there is no doubt about it - I'll be watching all four games! I’ve drawn the Patriots in my sweepstakes, but I honestly think the Chiefs have a very good chance to knock off the Patriots in this one. Gronkowski isn’t healthy at all, and Tom Brady’s offensive line has a ridiculous amount of injuries. The Chiefs should look to rely on their run game and control time of possession to keep Brady off the field as much as possible, so I think Charcandrick West/Spencer Ware should both have a solid game. As for the Patriots, the Chiefs have arguably the best set of Linebackers in the NFL, and you can expect a lot of their attention will be spent on Gronkowski. The Chiefs really do have one of the better defences in the NFL, so expect Brady to struggle in this one, but probably just about sneak a win. I’ve got the Cardinals winning quite heavily in this game. They’ve had a full week of rest, and although they beat the Redskins comfortably in the end, I see Aaron Rodgers & the Packers really struggling. Without Jordy Nelson this year defences have been able to put an extra safety in the box because the Packers no longer have a true deep threat, the extra safety is the reason the Packers run game has been non existent this season. With all the weapons Carson Palmer has at his disposal, the Cardinals should be able to run up a lot of points, and i’ve got them winning by 10+. I don’t think you can take much from how much the Seahawks struggled to put up points against the Vikings: 1) The Vikings defence is actually pretty good, 2) The Conditions were horrific. In the last 8 weeks of the season no Quarterback played as well as Russell Wilson, who really seems to have taken over as the focal point of the Seahawks offence, as opposed to Marshawn Lynch, and it seems to be working. Lynch being back for this game is a huge boost, and I have the Seahawks winning narrowly. I think the Panthers will get off to a good start, but Seattle will have a huge second half, as they always seem to do. This is the best game of the weekend in my opinion, Wilson vs Newton should be great to watch. The spread on this game is huge, and although Roethlisberger is hurt, and Antonio Brown is out, I think this will be an ugly defensive game, with the Broncos winning narrowly. I think Martavis Bryant will have to be the go-to guy for the Steelers with Brown not playing, with his size & speed the elite corners of the Broncos will definitely have their hands full. Manning being chosen as the starting QB for the Broncos is a bad decision in my opinion, and I think it could come back to hurt them. I doubt there will be more than 30 points between the two teams in this one. £1 lucky 15 returns £10,186 if all score first touchdown.